In aviation and surface transportation settings, pilots and drivers are certified to operate vehicles through a licensing process that includes an assessment of physical readiness, a written knowledge exam, and a practical exam, sometimes referred to as a “checkride.” This is a process whereby a human examiner assesses whether humans can effectively operate autonomously either in actual or simulated conditions. Given the rise of autonomous transportation technologies and the debate as to how such technologies that leverage probabilistic reasoning could and should be certified, could such licensing approaches be extended to certification of autonomous systems? 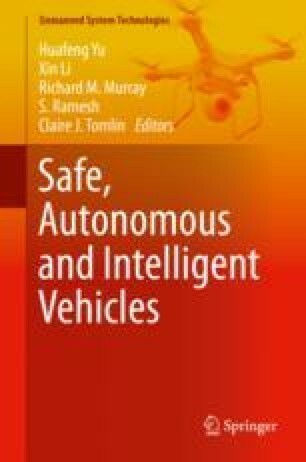 This chapter will discuss how machine and human autonomy are similar and different, how and why licensing processes have developed historically across the two transportation domains, and how autonomous transportation systems could adapt the principles of human-based licensing processes for certification. This work was inspired by Dr. Michael Francis and supported in part by the US Department of Transportation and the University of North Carolina’s Collaborative Sciences Center for Road Safety (CSCRS).